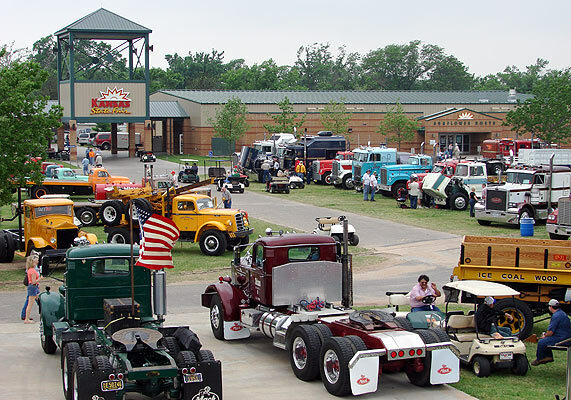 The American Truck Historical Society National Truck Show and Convention concludes today (Saturday, May 24) at the Kansas State Fairgrounds in Hutchinson. I'm not into cars or trucks as such, but as objects that carry the styles of their times, their retro rating is pretty high. Some of the trucks even brought their own cars. Doesn't this thing look like a huge Tonka toy? There are a few hundred trucks of diverse age and manufacture in attendance. Go see them. It's free. I just hope they fared well in the storms last night. 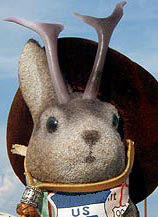 From his base in Hutchinson, Kansas, Ace Jackalope ventures forth - sometimes to foreign lands and sometimes to his own backyard - in order to drink in the wonders of the world around us.